Fascinating new frontiers in plant neurobiology have revealed trees to be extremely social beings. They communicate through vast mycelial networks to thwart damage or impending drought and share nutrients with one another, even to the point of sustaining felled tree stumps for centuries. 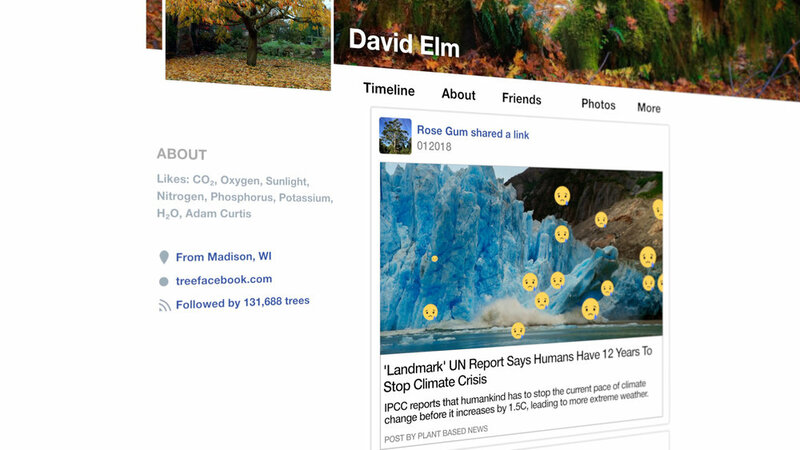 Tree Facebook is a parody promotional video and mixed media installation that juxtaposes this deep-time, embodied network of the forest with the phantasmagoric, hypercapitalist logic of social media. 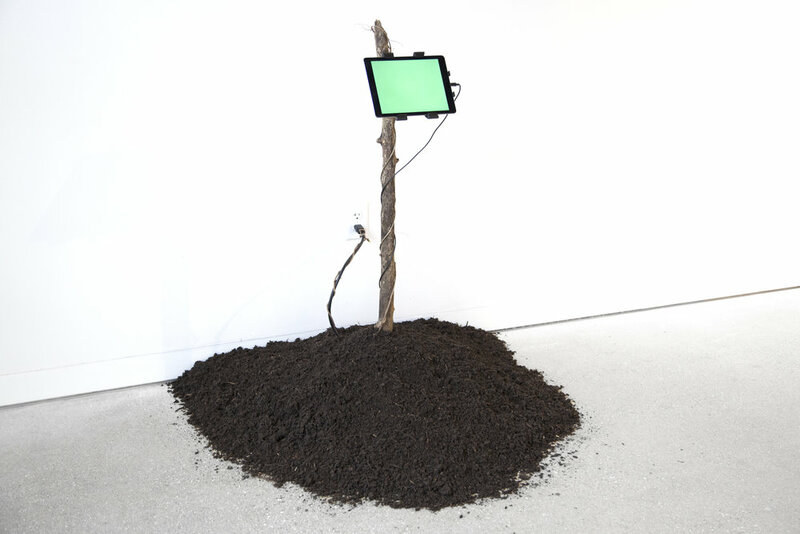 Video displayed on an iPad mounted to a found tree branch, embedded in soil with a vine wrapped around its power cord, asks viewers to encounter a ubiquitous apparatus of scroll culture situated within a sculptural form that could simultaneously read as a trailhead or grave marker—suggesting both an end and a possible way forward. Faced with ecocide and climate breakdown, humans must move away from the illusory duality between ‘ourselves’ and the natural world, towards an ethic of belonging. The dissolution of individuality into relationship is how the arboreal community survives, and a model from which our coming community can learn.